With Final Fantasy XV standing as one of 2016's best games, fans have been clamouring for more content from developers Square Enix. At last, we're finally going to get some thanks to the heavily teased Moogle Chocobo Carnival, for which we've just received a new trailer. Following the recent Holiday Pack DLC, FF players will soon get their chance to partake in this limited-time event, which will kick off in North America on January 23 at 8 p.m. EST. 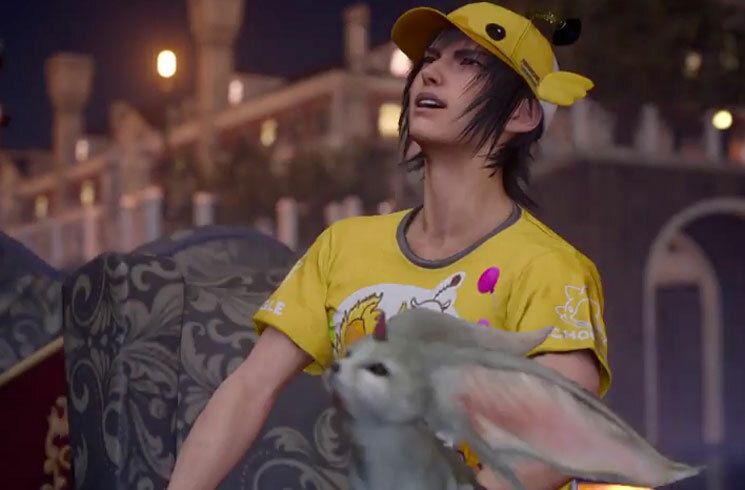 As you can see in the new trailer below, the Moogle Chocobo Carnival seems to offer a lot, with the clip dazzling us with everything from festive (and entirely goofy) new costumes, over-sized Moogles, Chocobo races, fishing events, some new target shooting game and what appears to be a lot more. If anything, Noctis definitely looks like he's enjoying the carnival, so we have our hopes up on this one. Along with the Moogle Chocobo Carnival, a new update on January 23 will allow players to control when Prompto takes photos outside of battle, as well as provide a new photo frame. If you sprung the extra cash for the Season Pass, the upcoming update will tack on some more goodies as well. The Moogle Chocobo Carnival will be coming to both console versions on PS4 and Xbox One. At this point, however, it's unclear how long it will last.